Ready to Network in Style? Ever wonder how people get into those crazy exclusive networking events that seem to always happen right under your nose? They usually have an “in” with someone in their network. Well, today, we’re your “in”. If you are a young professional looking to actually connect with other young professionals in Montreal, there’s an amazing event happening this fall at the historic and uber-trendy Bar George. It’s hosted by The Actually Connected Network – an organization that recognizes the reality of digital connections, which is that they can be a great starting point, but nothing beats a true, face-to-face connection. Bonus points if you can meet up in style. The Exclusive Networking Event In Style For Young Professionals is happening Tuesday, October 16th, from 6:00 pm to 8:30 pm @ 1440 Rue Drummond. 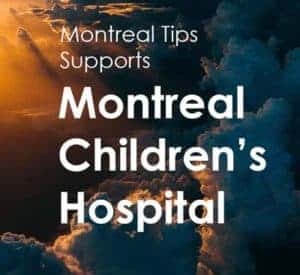 An opportunity to make real connections with other highly motivated young professionals in Montreal, enjoy a few drinks and tapas artfully prepared by Bar George’s talented chefs, and raise funds for Big Brothers and Sisters of Montreal. You will also hear from Montreal Tips’ own Tarek Riman, who will keynote the event. Tarek, Founder and CEO of Cap.Taim, Founder of MontrealTips.com, accomplished speaker, Amazon international bestselling author and Professor of Digital Marketing at Concordia University, will be speaking about breaking out of your comfort zone so that you can not only achieve your professional goals, but also create a life that is more fulfilling and purposeful. Founder and CEO of Cap.Taim & MontrealTips.com | Author of "The Camino Within"
If that doesn’t get people fired up about making genuine connections, we don’t know what will! Are you ready to network in style? The event is happening in Bar George’s decadent Strathcona lounge, so space is limited! Reserve your ticket to style right here.